Fear is something that can affect paddlers of all skills; it can be unpredictable, rational or irrational. Knowing how to deal with your fear is important, whether you are a seasoned paddler or a first-timer, and overcoming the fear is often what gets people addicted to kayaking and canoeing. However, if fear takes over, you should know how to manage it, rather than ruin your paddling experience. This guide can help, so you feel happier when out on the water. It is useful to know why you are scared when on the river, as the reason for your fear is often unknown. Ask yourself questions that can help determine the cause of your fear, such as “am I going too fast?”, “do I know the route well enough?” or “am I skilled enough for this water?” Finding the source of your fear allows you to start addressing it in the moment. Everyone gets scared or nervous, and admitting to your fear, whether to yourself or the group, is a great way to get past it. As soon as you acknowledge your fear and uncertainty, you can start to deal with it by calming down and seeking support from your friends. Something that comes naturally and we don’t even consciously think about, your breathing can quickly become panicked in a moment of fear, which could lead you to get into a worse situation. Taking deep, controlled breaths can instantly calm you down and connect your body and mind, giving you time to think about your situation. If you find yourself scared in anticipation of what’s to come, be it an unknown stretch of river or a particularly tricky whitewater stretch, remind yourself that it is ok to stop and walk it. You can always try another day when feeling more confident and walking can also give a better perspective of the route and how you’ll approach it. When it comes to kayaking and canoeing, safety is important, so you don’t want to try something that could be too dangerous for your ability. When it comes to paddling in a group, you need to have people around you who make you feel supported, safe and who paddle at the same pace as you. Having friends who know you and will understand what you are comfortable with on the water can help you progress more than you realise. Don’t go all in when you’re on the water. Focus on your paddling, knowing what moves you need to do when it comes to a rapid, find time to scout or catch an eddy so you can relax. If you know the moves before you tackle a rapid, you can factor in the consequences and plan for a different move should something go wrong. Having a mantra or saying that can keep you focused is simple but effective. Thinking to yourself, “I can, and I will” or something similar, is a method of creating your own confidence and can also help you psyche yourself up if you feel nervous on the water. Similar to slowing and calming your breathing, laughter is a great way to release tension when you are scared. People tend to tense up when in fear, so shaking it off with laughter or smiling can immediately make you feel relaxed and in control again. Also, kayaking and canoeing are fun sports, so laughter should be natural! Do you have any tips that help you stay calm on the water? Let us know via our social media channels! 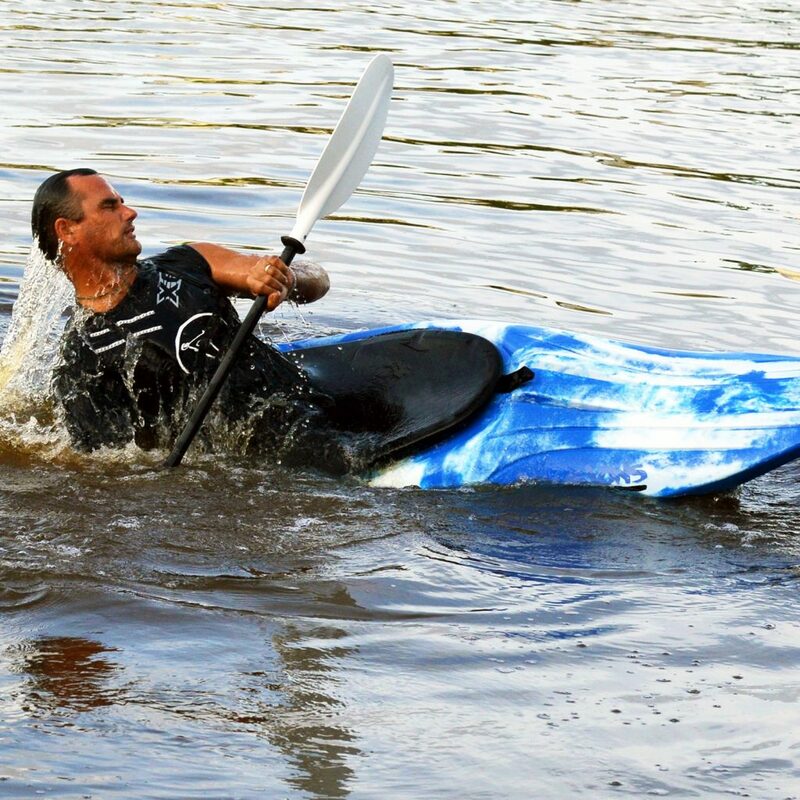 Why not also take a look at paddling accessories and the kayaks for sale on our site so that you are ready to get in the water this spring? !